My husband Tom introduced me to the wonderful world of Wes Anderson when we started dating nine years ago. After falling in love with everything about Bottle Rocket (his favourite Wes film), Tom proceeded to screen every Wes Anderson film he owned on DVD for me and I was smitten (with Wes’ whimsical, thoughtful style and, of course, Tom and his superb taste in film)! Since then I’ve eagerly awaited every one of Wes’ releases. 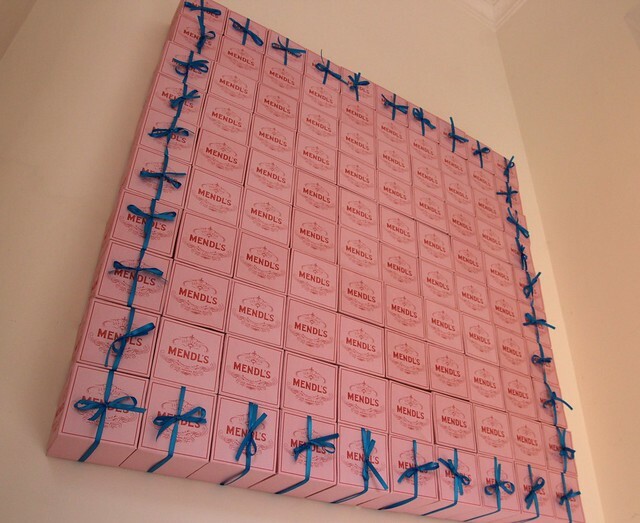 So, needless to say, I was pretty damn excited when 20th Century Fox International approached me earlier this year about the release of Wes’ latest triumph – The Grand Budapest Hotel. 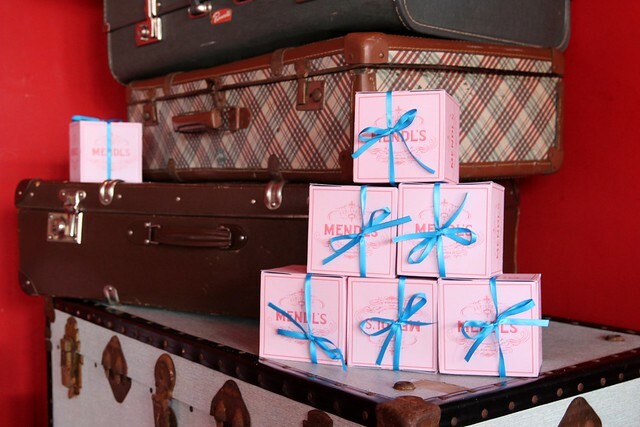 Touted as Wes’ best film yet, The Grand Budapest Hotel is packed with all of the elements I have come to love about his iconic style – the colours, the symmetry, the costumes, the characters, the dialogue, the grand locations… a true Wes Anderson classic. Fox asked me to bring a touch of The Grand Budapest Hotel to the beautiful Luna – an iconic cinema located smack bang in the middle of Leederville in Perth. 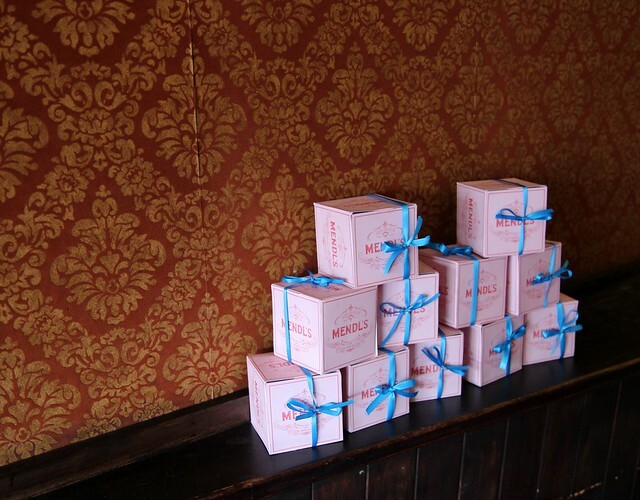 The main element of the display consisted of Mendl’s boxes (a patisserie featured in the film). I had 500 box templates printed onto thick card and anticipated it would take a few minutes to cut, fold, glue and tie a ribbon around each box. Oh, how wrong I was! Once I got into it I realised it took closer to eight minutes per box from start to finish, so I spent every waking minute of my life leading up to the premiere assembling boxes. Thanks to my friends and family who chipped in to get the job done in time! 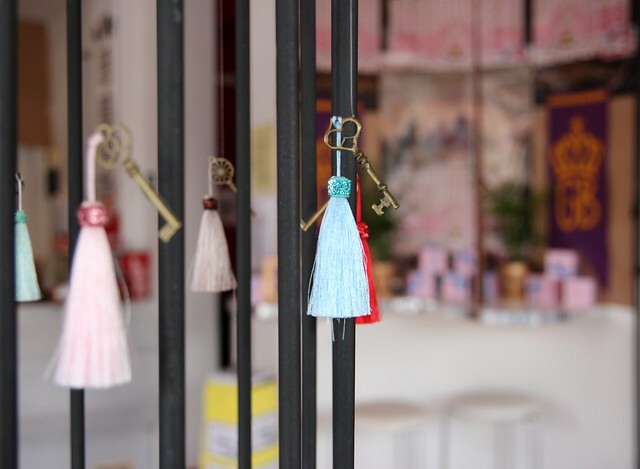 Other elements of the display included a Grand Budapest gallery featuring stills from the film in gold frames (some op-shopped, others purchased at IKEA then spray painted), stacks of vintage suitcases hired from Project Blak, and an assortment of vintage keys and tassles hung here, there and everywhere in homage to the Society of the Crossed Keys (an exclusive guild of concierges featured in the film). For the first week of screenings Fox hired Roly Skender to project beautiful Grand Budapest imagery onto the facade of Luna – check out the video below to see how lovely it looked. Big thanks to Fox & Luna for the opportunity and to Blanche McKie and the many others who helped assemble all of the boxes.